Nanoscience and nanotechnology are international household terms because of the substantial potential that exist in the physical, chemical, and biological phenomena discovered in these fields. From a physics perspective, a number of nanoscale systems show great promise to revolutionize many areas of society. For me, the field of nanocrystalline materials exhibits the greatest potential to elucidate our understanding of fundamental physical phenomena (electricity, magnetism, etc.) and to be incorporated into devices that could improve our lives. 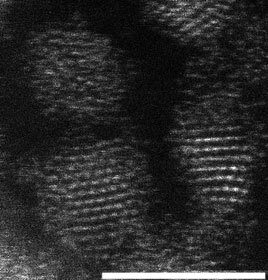 For nanocrystalline materials to become widely employed and, hence, competitive with traditional macroscopic materials in electronic, optical, and magnetic device applications, more must be understood about their intrinsic properties and how to control, distribute, and integrate nanomaterials in an effective manner. A) What is the nature of magnetism and light emission within the smallest nanocrystalline materials? B) What is the safest, most time and cost efficient, size scalable, and controllable method to handle and distribute nanoparticles to fabricate functional devices, architectures, and materials? 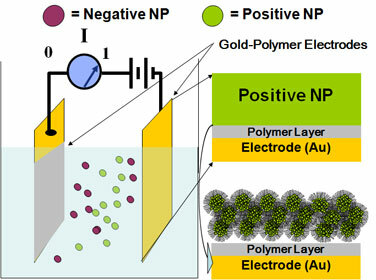 Answering these questions would: A) help the scientific community better understand how to exploit nanoscale phenomena to make enhanced magnetic devices and light-emitting materials; B) help establish manufacturing systems and protocols for industrial and commercial outfits (both large and small) to employ nanomaterials for functional device fabrication. To address these questions, I developed complementary research interests in physics, materials science, and chemistry to synthesize, to characterize, and to investigate nanomaterials and nanoscale phenomena. To research nanomaterials that possess the highest standards of quality, composition, and purity, one typically must synthesize the materials oneself. Thus, my research activities are intrinsically multidisciplinary and have involved integrated components of condensed matter physics (optical spectroscopy and magnetic measurements), materials science (electron microscopy, electrochemical analysis, materials fabrication), and chemistry (nanocrystal synthesis and electrophoretic deposition). My group has addressed these fundamental questions through the development of vibrant programs of research along two major trajectories: I. Electrophoretic Deposition of Nanomaterials and II. Physics and Materials Science of Magnetic and Luminescent Nanocrystals.